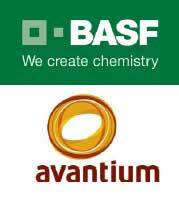 Germany-based BASF and Dutch chemicals firm Avantium have signed a letter of intent and entered into exclusive negotiations to establish a joint venture for the production and marketing of furandicarboxylic acid (FDCA), as well as marketing of polyethylenefuranoate (PEF), based on this new chemical building block. FDCA is produced from renewable resources. The jv will use the YXY process developed by Avantium in its laboratories in Amsterdam and pilot plant in Geleen, Netherlands, for the production of FDCA. It is intended to further develop this process as well as to construct a reference plant for the production of FDCA with an annual capacity of up to 50,000 tonnes/year at BASF’s Verbund site in Antwerp, Belgium. The aim is to build up world-leading positions in FDCA and PEF, and subsequently license the technology for industrial scale application. FDCA is the essential chemical building block for the production of PEF. Compared to conventional plastics, PEF is characterised by improved barrier properties for gases like carbon dioxide and oxygen. This can lead to longer shelf life of packaged products. Due to its higher mechanical strength, thinner PEF packaging can be produced, thus a lower amount of packaging material is necessary. Therefore PEF is particularly suitable for the production of certain food and beverage packaging, for example films and plastic bottles. After use, PEF can be recycled. “With the planned joint venture, we want to combine Avantium’s specific production technology and application know-how for FDCA and PEF with the strengths of BASF,” said Dr. Stefan Blank, President of BASF’s Intermediates division. “Of particular importance is our expertise in market development and large-scale production as an established and reliable chemical company in the business of intermediates and polymers,” Blank added. “The contemplated joint venture with BASF is a major milestone in the development and commercialization of this game-changing technology. Partnering with the number one chemical company in the world, provides us with access to the capabilities that are required to bring this technology to industrialisation,” said Tom van Aken, CEO of Avantium. “The joint venture will further strengthen the global technology and establish the market leadership for FDCA and PEF. With BASF, we plan to start production of FDCA to enable the first commercial launch of this exciting bio-based material and to further develop and grow the market to its full potential,” van Aken continued.